The Turtle’s Rage tells the story of an enigmatic man, whose life is shaped by flight and expulsion, exile, and the failed attempt to return to Palestine. His is a life torn by the Israel-Palestine conflict. It is the story of the director’s father and of a daughter’s search for answers. 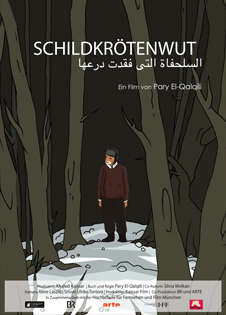 It is the story of their journey together through Egypt, Palestine and Jordan. A story so nuanced as to thwart the simplified notions of victim and perpetrator, good and evil, black and white.